After a successful season of fieldwork in summer 2018, the second year of “Exploration of potential nesting sites & design of conservation measures for sporadic nesting in Albania “(2018-2019) is starting! 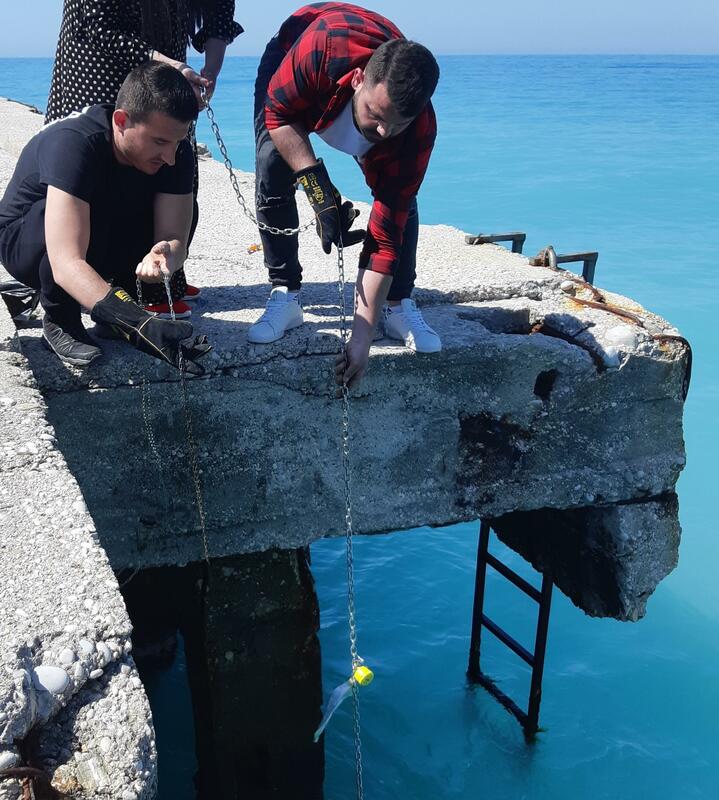 Our collaborator Dr. Enerit Sacdanaku is placing equipment with the help of Albanian officials and fishermen to measure sea temperatures that will help us understand the future suitability of Albanian beaches for sea turtle nesting. Stay tuned! Our research in Albania is supported by the MAVA Foundation within the regional project “Conservation of sea turtles in the Mediterranean” which is being implemented by ARCHELON, DEKAMER, MEDASSET, MedPAN, NMPZ, RAC/SPA (leader), WWF Greece, WWF Turkey. For more information please click here.